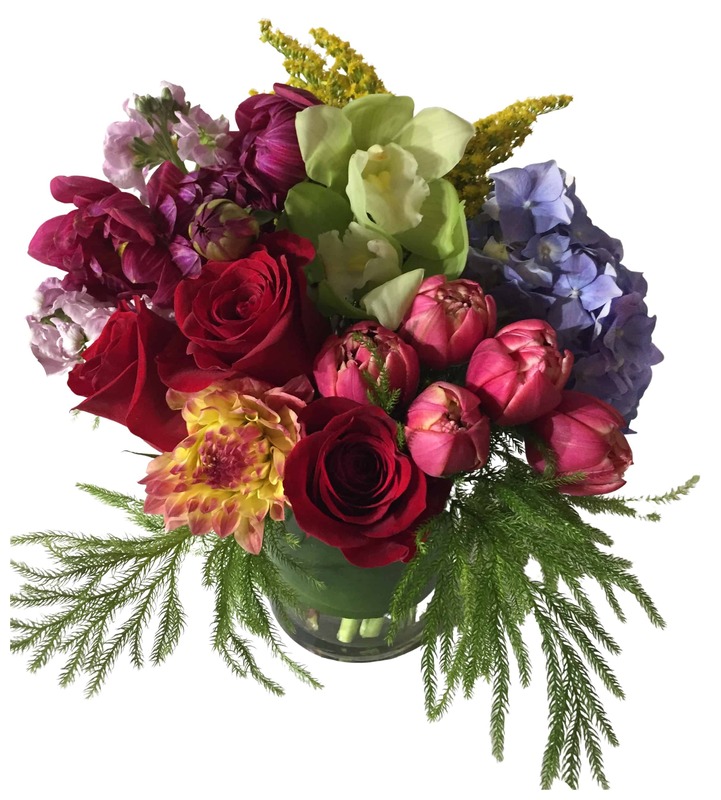 Get ready to rustle some tail feathers with this beautifully colored arrangement of Roses, Hydrangea and Orchids! It's a rainbow of color in full plume! Send out congratulations, birthday/anniversary wishes, or a giant thank you with this lovely and bright display of beautiful flowers!